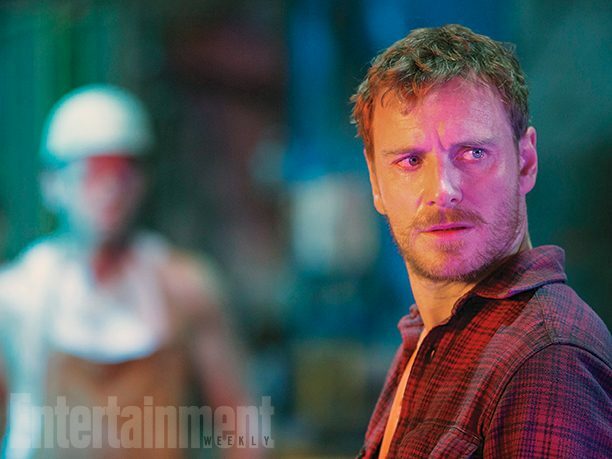 Following the trailer shown at Comic-Con that was leaked – and subsequently removed – 20th Century Fox has released five new photos from the set of X-Men: Apocalypse via Entertainment Weekly. 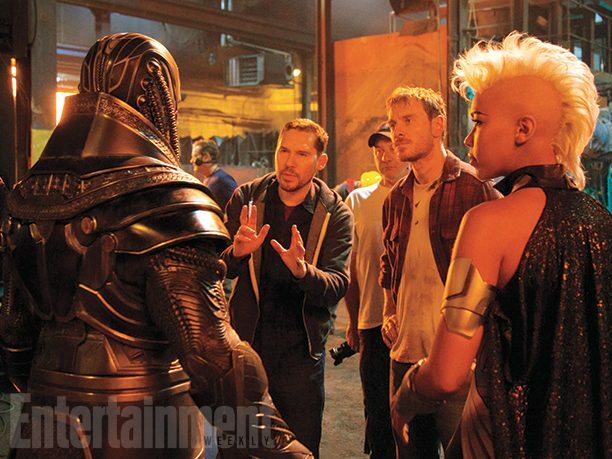 The photos are our first clear look at the new characters, including Apocalypse (Oscar Isaac, Ex Machina), Psylocke (Olivia Munn, Mortdecai), and a younger Storm (Alexandra Shipp, Straight Outta Compton). 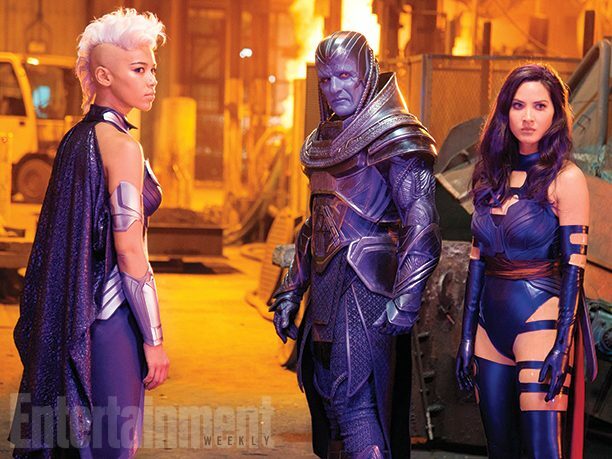 The first takeaway from these photos is the change in color palette for the series, with bright colors – particularly purple in Storm, Apocalypse, and Psylocke’s garb – taking a much more prominent role in the aesthetic. This might be due to the series moving from the 1970s to the 1980s. 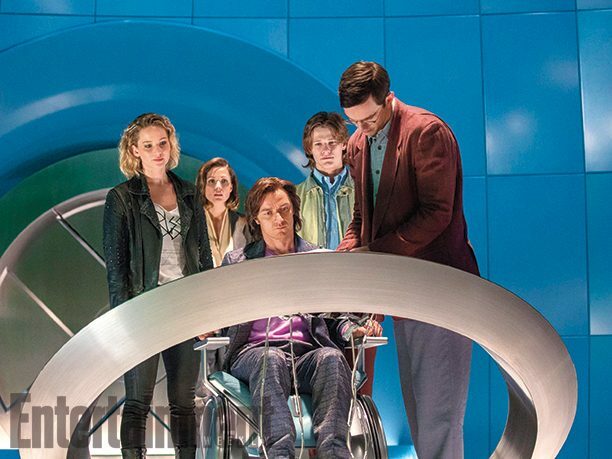 Other photos include revamped looks for Mystique (Jennifer Lawrence, The Hunger Games: Mockingjay – Part 2), Quicksilver (Evan Peters, The Lazarus Effect), Magneto (Michael Fassbender, Slow West), and Professor X (James McAvoy, Victor Frankenstein). Not included in the pictures are Wolverine (Hugh Jackman, Pan) or the revamped versions of Cyclops (Tye Sheridan, The Stanford Prison Experiment), Jean Grey (Sophie Turner, Barely Lethal), Nightcrawler (Kodi Smit-McPhee, Slow West), as well as Jubilee (newcomer Lana Condor) and Angel (Ben Hardy, TV’s Eastenders). Jennifer Lawrence as Raven/Mystique, Rose Byrne as Moira MacTaggert, James McAvoy as Charles Xavier/Professor X, Evan Peters as Peter/Quicksilver, Lucas Till as Alex Summers/Havok, and Nicholas Hoult as Hank McCoy/Beast sitting at the Cerebus machine. 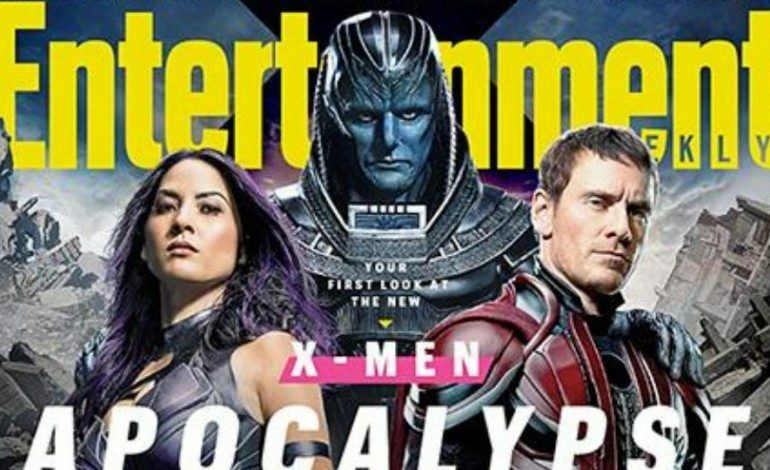 Apocalypse takes place 10 years after Days of Future Past when Apocalypse, the world’s first mutant, wakes up and decides the world needs “fixing.” He finds Storm in Cairo and Angel and Psylocke in East Berlin. Together they try to appeal to Magneto’s extremist side to fuel the destruction of the human race. 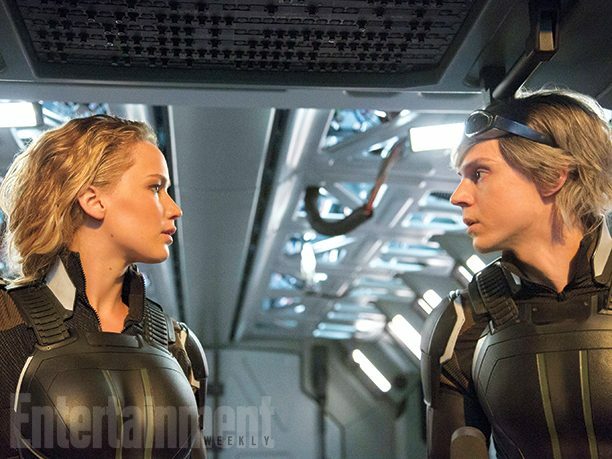 X-Men Apocalypse is set to hit theaters next Memorial Day weekend, May 27. You can check out the final photo below.